We are one of the RPG leader publishers in Italy, with the trademark WMS Publishing, having partnerships with some of the most important international publishers, like Monte Cook Games (Numenera, The Strange, Cypher System, ‘No, Thank You Evil’), Arcaia and Boom Studios (Mouse Guard RPG), Fire Opal and Pelgrane Press (13th Age), Schwalb Entertainment (Shadow of the Demon Lord), Riot Minds (Trudvang Chronicles), Fria Ligan (Coriolis), Six More Vodka (Degenesis), Academy Games (878 – Vikings), and many others great partners that we are adding every month. In the course of the last four years we reached the top of the RPG market with a lot of successful titles, with more than 600 brick and mortar shops reached with our great distributors, great social business with pages and group dedicated to our games and thousands of fans with our connected trademarks. We have a competent PR internal team with the most important contacts with social media partners, journalists, bloggers, playing groups, associations, influencers event and convention managers, artists and other important relations that help growing impact on the web. We’re proud we had a deep impact in the market, changing some classic ideas, like introducing Boxed Set for all our RPG games, events at conventions, bring authors and illustrators of our games to Italy for our audience every year, and we’re still adding new steps every year. 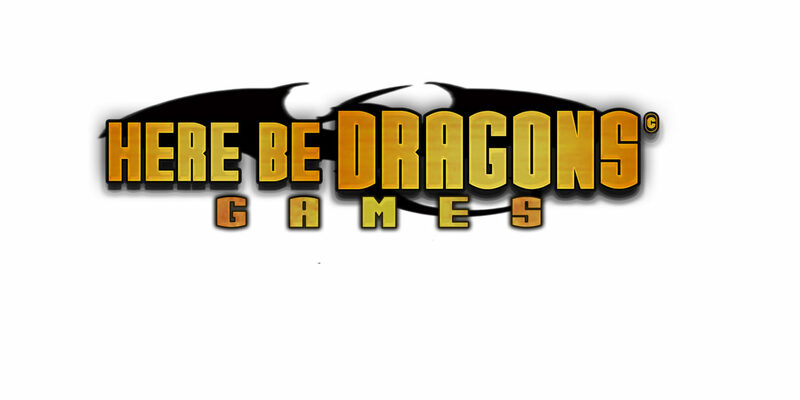 Our new perspectives are: introducing new roleplaying games with a new trademark, Here Be Dragons Games. We are really excited to begin a new journey all around the world, together with our partners: will work and cooperate with them to bring to all the players new games, new worlds and new ideas.